Warning: These 9 Tiles Defect may Destroy the Beauty of Your House! The tiles are very popular building material for floors as well as for wall because it has more durability and aesthetic look. However, with wear and tear and due to the lack of proper care, different types of tiles defects may appear on tile surface such as buckled tiles, cracked tiles, faded tiles, shade variation in tiles, rust stains on tiles, etc. These tile defects occur because of the improper installation techniques or materials are unsuitable for tile surface. Tiles defect also arises due to many reasons like the uneven floor, improper cleaning, uneven grout joints, absence of movement joints, poor adhesion, poor quality adhesive, etc. These defects give a bad look to your house. So, before it ruins the aesthetics of your house, take the basic precautions and find the proper solution for tile repair. The buckled tiles defect is defined as the lifting of tiles from their originally installed position when start pushing other tiles against one another. Therefore, it creates a ‘tent like’ bump on the floor. This tile defect is also known as pop up tiles or tented tiles. Buckled or pop up tiles defect is mainly caused due to the lack of expansion joint, uneven subfloor, moisture absorption by tiles, using poor quality adhesive or improper cleaning, etc. To repair buckled tile or pop up tile, use good quality adhesives. Do not use old or dusty tiles as it may buckle frequently. If the tiles are buckled over large area, then you need to replace all tiles with new one of same design if available. We have already written detailed article which will help you while repairing of buckled tiles. When the adhesive under the tile did not cover the entire surface, there will be void under some portion of tiles. When pressure is applied to those tiles, it may get cracked. Cracked tiles defect is mainly caused due to the heavy object such as pot, cans, etc. dropped on the tiles, using poor quality tiles, improper subfloor, cutting and poor handling, changes in environmental condition, etc. To know other reasons for cracked tiles Causes of Cracked Tile. If the cracks are not too large, apply paint that closely match the colour of the tiles. If the cracks are too large, replace the tiles with new one of similar type of design if available. Use expansion joints in tiles to avoid tiles cracking. 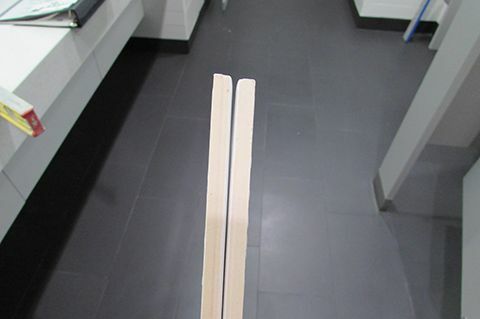 Depending on how big is the crack, there are some different techniques which you can use in order to repair cracked tile. The tiles lose their gloss due to the exposure to sunlight or using unnecessary strong chemical is known as faded tiles. This defect is more common in dark coloured tiles. Tiles basically fade due to constant ultraviolet radiation of the sun. Tiles fade because of the overuse of acidic cleaners in shower areas. Due to the improper grouting during tile installation, soaps and body fats are accumulated in one corner. This makes tiles fade. To have more detailed information on fading of tiles, read Why do Tiles Fade Over the Period of Time? If the tiles colour has almost faded, you need to replace the tiles with new one of similar pattern. Always use good quality tile cleaner which will remove tiles dirt and any detergent that has been build up on the floor. Avoid the use of hard water as white patches may appear on the tile surface over a period of time. There are also other solutions to avoid fading of tiles on which we have already written a detailed article. You can easily remove rust stain from tiles by using lemon juice, kerosene, vinegar, toothpaste, etc. If the rust marks are difficult to remove, then you have no option but to replace the tiles with a new one. If you want a detailed solution on how to remove rust stain from tiles, read How to Remove Rust Stains from Tiles? The shades of tile is the combination of visual characteristics of the tile surface, including its colour and the distribution pattern of colour or decoration over the tile surface. The colour, shade and pattern in entire tile batch vary to some degree from tile to tile and from production run to production run. In some cases, shade variations are very major (hardly noticeable) and in others, they are major (it may look like different colour tiles though from the same box). Don’t use poor quality tiles. Assign the tiles to different rooms or areas based on variation or segregation. Take care while printing the tiles so that the pattern will remain same throughout its body during the manufacturing process. Note: Tile shade variation can be quite confusing. In some cases, it is not actually a defect – but it can be a selection issue or error in selection. When the heavy object accidentally drops on the tile surface, it will cause the defect of chipped tiles. Chipped tiles defect may also be caused due to the dragging of heavy furniture, hard object dropped on the tiles surface, knocks on the edges or corners of tiles that are not laid flat, etc. To repair chipped tiles, fill the chipped portion by epoxy or adhesive. Then paint over the filler to match the colour of tiles. Another solution is filling the chipped area with nail paint with same colour as of colour of tiles. When the networks of hairline cracks appear on the glazed surface of tiles, it is known as crazing tiles defect. It is basically a manufacturing defect. It often occurs due to variation in firing temperature. The continuous movement of a substrate or wall can also cause the crazing on tiles. To prevent crazing on tile, apply proper glaze effect on the tile surface. Be cautious while manufacturing of tiles. It is basically a manufacturing defect. Reject or do not use such tiles. When the tiles become bent or twisted or out of the shape due to the effect of heat it is called warped tiles. It caused due to the improper manufacturing process. Take care during the manufacturing of tiles. If you notice such tiles defect after receiving the tiles on site get replaced the tiles from the supplier. Reject or do not use such tiles. Also Read: How to Check the Granite Quality? The tiles shrink during the manufacturing and that shrinkage may vary from tile to tile, it is known as size variation in tiles. Size variation in tiles may occur during the manufacturing of tiles. The size variation in tiles due to the fact that they are made up of natural clay and silica and then fired at a higher temperature. Therefore, it is a basically a manufacturing defect. Always take care during the manufacturing of tiles. Assort and arrange tiles of the same size in a particular area or room so as to minimize size variation defect. If there is a major size variation in tiles, then get replace the whole tiles box from the supplier. Above mentioned tiles, defects and its relevant solutions may be useful for you if such defects appear on the tile surface. 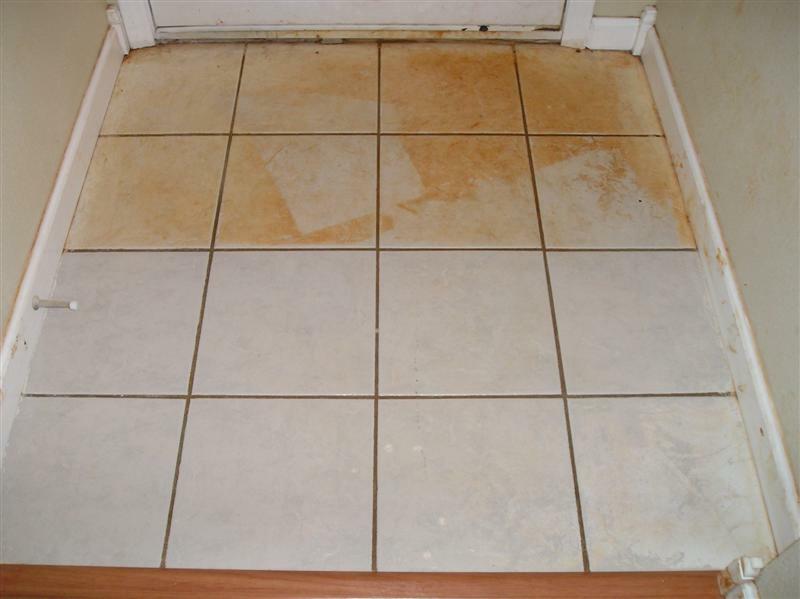 If the defects are major, then contact your local contractor for tile repair. With some simple protection measures and regular cleaning, your tiles will last, and look fantastic for years to come! Check the Defects in Vitrified Tiles before Buying Them! How to Check the Granite Quality? Previous PostPrevious The Rise of “Modular Bathroom” for your Modern Home! Next PostNext Hire A Plumber | 10 Tips to Choose the Right Plumber for your House!